Greetings, Groove-ophiles! If you live here in the U.S. of A., tomorrow's the day you've been dreading: your last chance to do your taxes! What could possibly give you more chills, shivers, and white-knuckled nerves than doing your taxes? Probably nothing, but Ol' Groove's gonna lay some creepy-cool on ya all week long, just to try to take some'a the chill off your wallet and onto your spine? How're we gonna kick things off? Why, with one of Gil Kane's best jobs of the early 1970s, that's how! You really get Kane's mastery of making his characters "act". Their facial expressions and body language keep propelling the story forward, drawing you into the terror that awaits. Editor Roy Thomas did a great job of teaming Kane with high caliber talent on "Yours Truly, Jack the Ripper!" 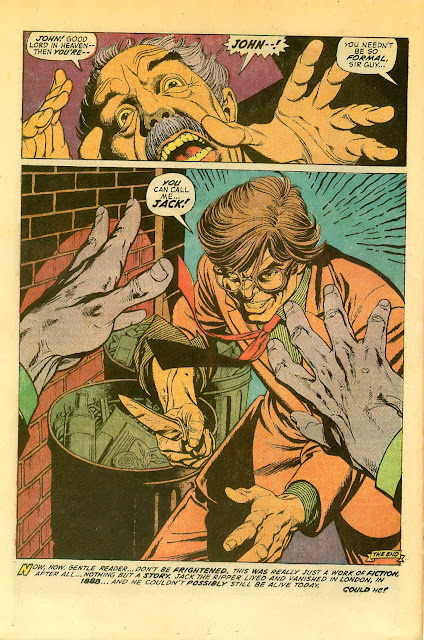 considering it's based on a classic short story by Robert ("Psycho") Block, scripted by one of my all-time favorite authors (and comics historian supreme) Ron Goulart, and inked by the incredible Ralph Reese. Yeah, it would have taken a strong, strong fan to have passed up Journey into Mystery #2 (September 1972)! 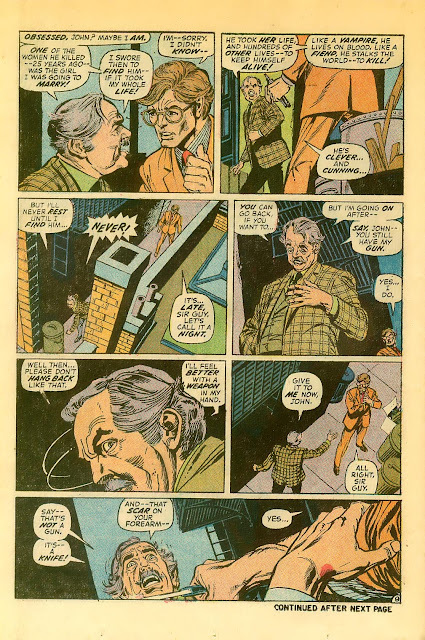 Gil Kane and Ralph Reese - Fantastic! Apart from this and that Conan story, did they do anything else together? Actually, I know of only one other Ralph Reese story - 'The Day After the Martians Came' in Worlds Unknown. What else did he do? Lots, John! 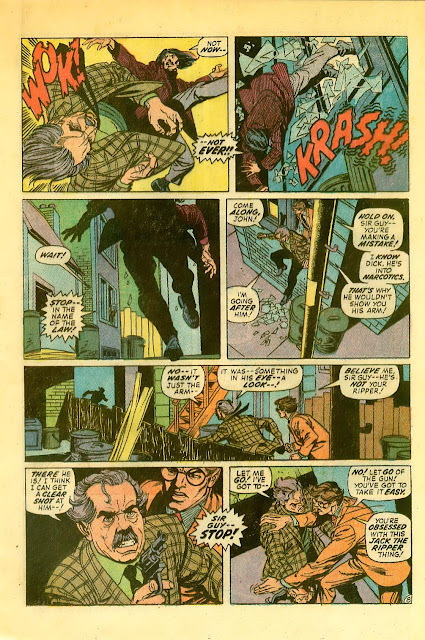 He worked mostly around the fringes in undergrounds and the b&w mags of the day (Marvel, Skywald, and Warren). 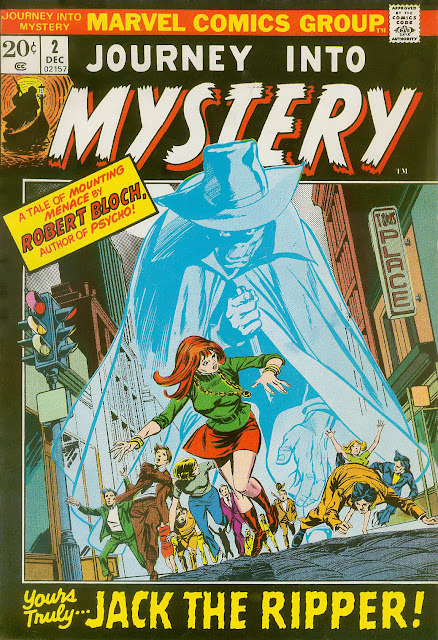 You can find smatterings of his work in various Marvel and DC mystery mags. We have a half-dozen or so of his jobs posted here on DotGk, and I'll definitely run more as I unearth them. Reese was one talented dude! An uncredited Neal Adams inked several pages on this story as well, notably #6 & 7 and possibly one or two others. 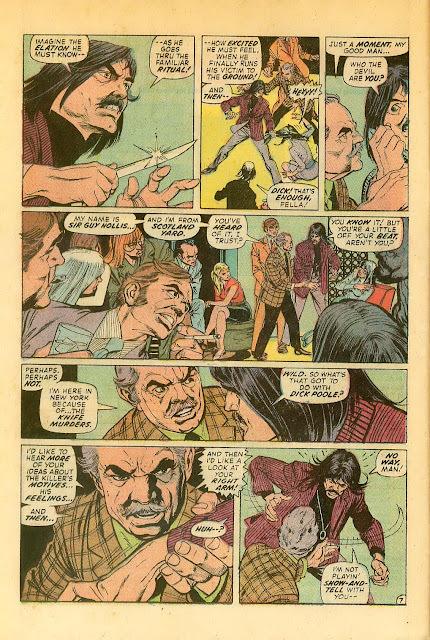 Ralph Reese did a well-received strip for National Lampoon, appears in the B&W Web Of Horror, did a few pages of Dr. 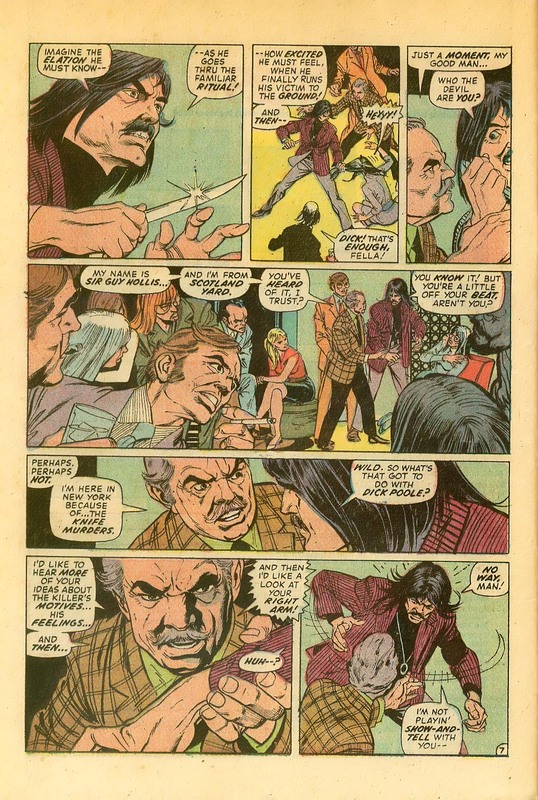 Strange over Frank Brunner's pencils, a great Solomon Kane story for the 1st issue of Monsters Unleashed as well as other work in Marvel's B&W magazines and, actually quite a bit of work here and there. He drastically changed his art style in the mid 1970s from the style you see above (which I prefer) to a style that looked like a stylistic combo of Gray Morrow and Win Mortimer. Sometimes it looked great and sometimes not so much but he's maintained that style to this day. Besides Adams, there may be even more pals and studio-mates work on some of Reese's jobs as he worked with Wally Wood's studio as well as Adams' and Giordano's Continuity. Good eye! 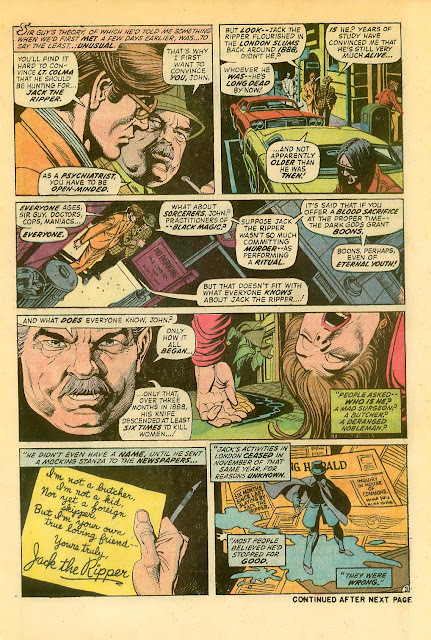 Reese also did Flash Gordon for a while and did lots of commercial art. He won an award (Shazam award?) for his humor work. One of my fave jobs is "SPV 166" in Weird Heroes #2, spot illos for Elliot S. Maggin's Charlie's Angels-esque (before CA, mind you). Thanks, Groove. Bloch's story has been a fave ever since I read it in some "Alfred Hitchcock" anthology back in the late 1960s. I greatly enjoyed Marvel's adaptation also, even though initially I was "put off" by the updating of the story's setting. 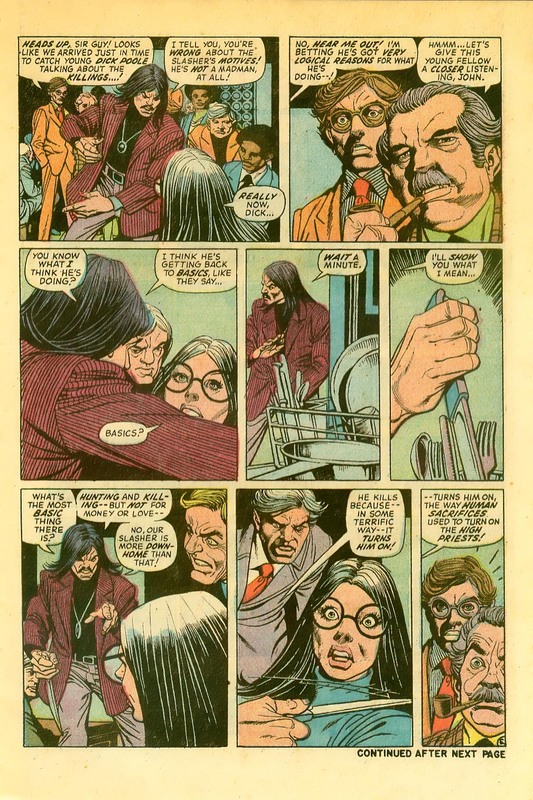 Great post, as usual, and I always look forward to the extra little nuggets of info that I can pick up in the comments section - such as Neal Adams' contribution here. 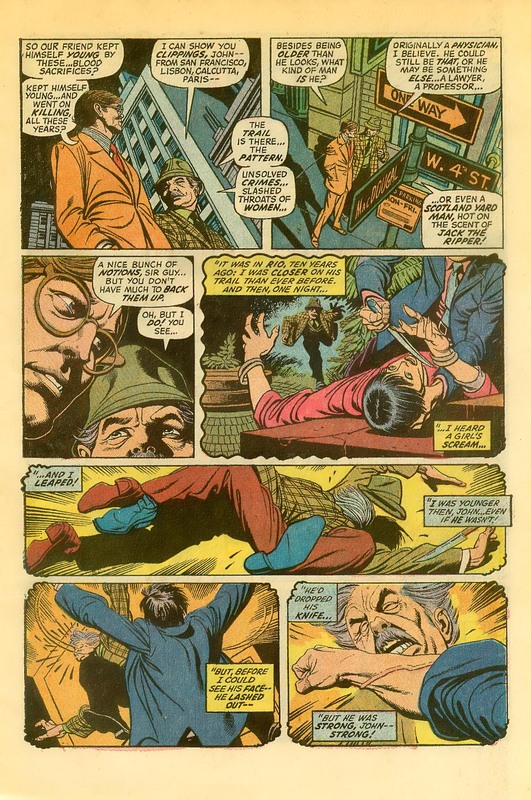 After looking at it closely, I would suggest that the last page of the story seems to have been inked by both Reese and Adams - the top panel by Reese and the bottom by Adams (check out those hands). 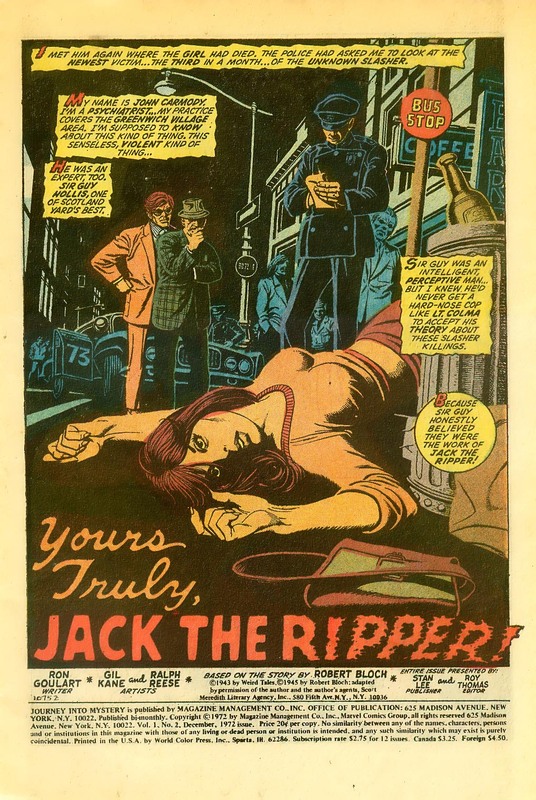 The Wally Wood influence shines through, though Reese seems to preserve more of Kane's sharpness. Hmmm. If Jack can show up in present day, is it much of a stretch that he'll show up in the distant future in Star Trek's "Wolf in the Fold" as Redjac, admirably played by John Fiedler and also written by Bloch? 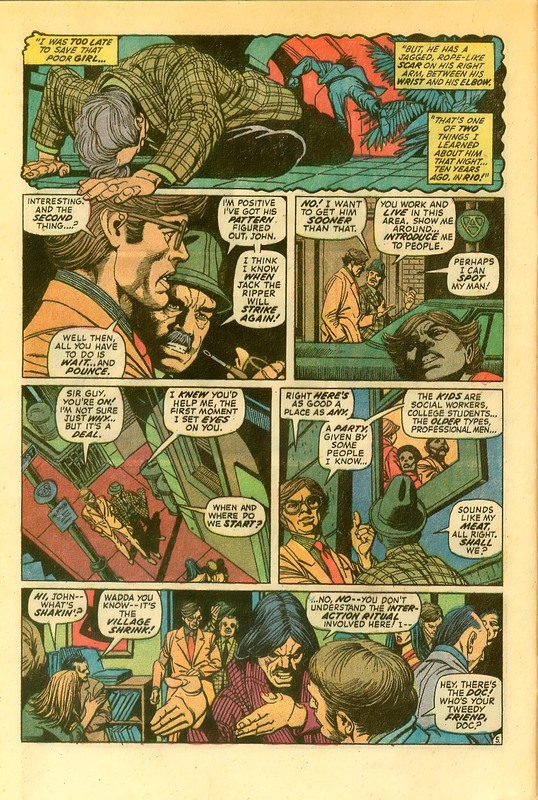 Gil Kane has always been my favorite Conan comic book illustrator. Conan the Barbarian #17, Gods of Bal-soth, inked by Gil. Was the first issue of that comic that I bought new off the rack. I soon bought the 16 previous issues before that. 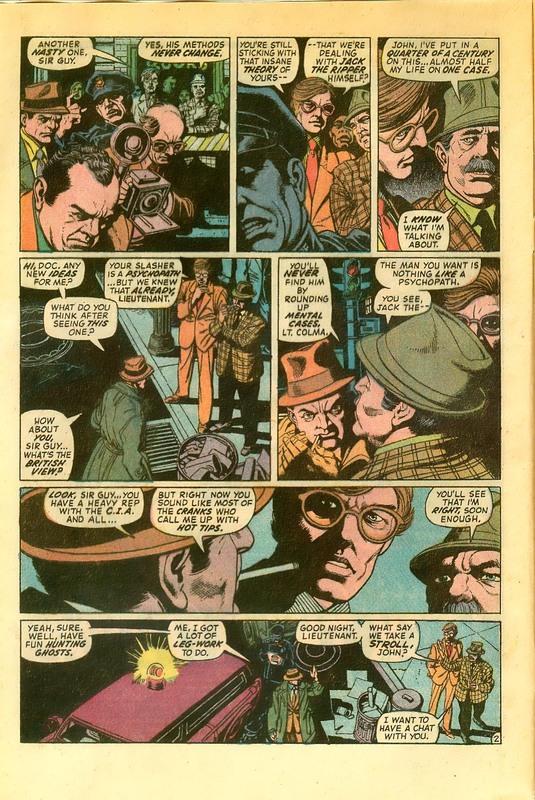 His 'Valley of the Worm' in Supernatral Thrillers #3, though not a Conan comic. It's origin came from the same wellspring. Is my single favorite comic inked by him.